Rowing years pass so quickly, especially the period from WEHORR to HWR and before we knew it HWR 2017 was here. This year there were 4 boats that raced from Agecroft. Ellies last race in a full Agecroft Boat and she did us proud, winning her Quarter Final, and losing out in a tight Semi Final to a World Cup Medallist. Having now graduated from UOM with a Masters in Chemistry Ellie has moved down to Henley and we really will miss seeing her cheery face on weekend mornings. Georgie’s second time racing at HWR, and after Wins at Nottingham and Wallingford she went into the weekend feeling confident- qualifying 2nd she had convincing wins in the 1st round and ¼ final. The Semi-final was a little closer but she won it in her relaxed, low rating, power style to make the final. She was up against a very strong Exeter University rower, and despite her best shot she fell short, however she is still just 17, so this isn’t the last we have seen of her in this event. She followed this up with a win in her Single at British Champs, and a fitting end to a very successful year. This double came together for the first time just before Nottingham, and after a good showing in IM3 there really started to find their groove and come together as a crew. Senior doubles were stacked this year, as has been the case in the last few years, with 34 entries for 16 places in the knockout racing. They had a solid time trial race, however fell short this time against established and experienced crews. Plenty of motivation to step on ahead of next season. 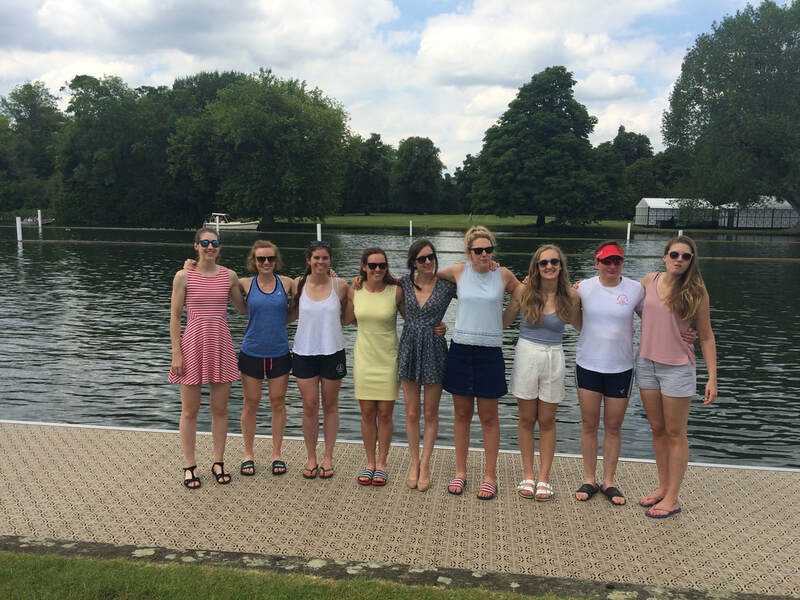 Club 8+- Marion Vannier (Cox), Charlotte Grandfield, Lexie Gardiner, Flo Morton, Charlotte Walsh, Grace Millar, Kate Silverthorne, Millie O’driscoll and Fran Barrand. Following last year’s Semi Final we had gone into this season with one aim, to go further than last year. 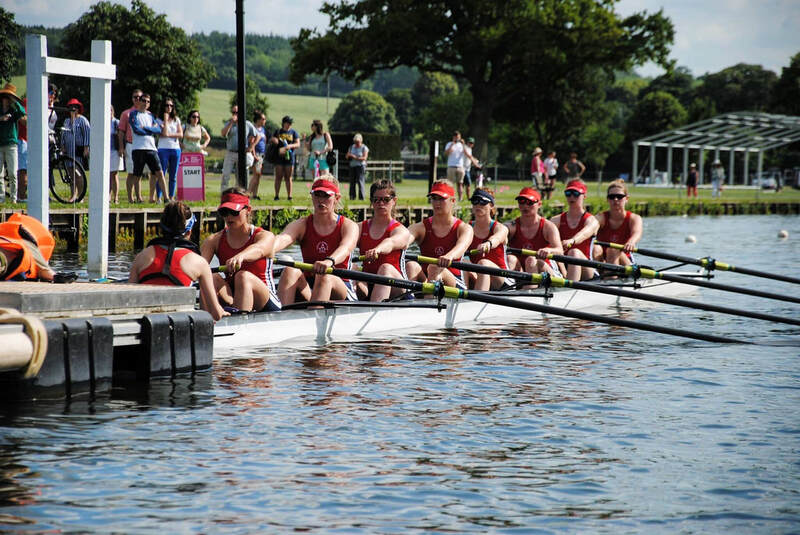 With 4 returning faces, and 5 new faces we had an indifferent run into HWR, awful conditions at Wallingford and a cancelled final, a Win in IM2 at Nottingham, and a testing Met weekend. We headed into the final few weeks post Met knowing we needed to find 12+ seconds and a strong middle race section, the crew however were in great spirits and we had some great final sessions on the Irwell. Women’s club rowing across all events has seriously stepped on in recent years, the strength in depth grows each year, more clubs enter each event, a great example of this Clubs 8s- 2015 no time trial needed, 2016 24 entries, 2017 32 entries, and with that the standard needed to qualify/finish in the top 4 has stepped on. We hit the Friday of Henley excited but knowing we had to attack the time trial and show what we were capable of. A slight headwind, but otherwise great racing conditions, once we got rid of the nerves we executed a solid Time Trial. Our cheer squad of timers indicated we were likely 2nd or 3rd with final results placing us 3rd, less than a second behind a TSS crew that had beaten us by 12 seconds (with Sub) at Met, and an indication of how much we had stepped on in the last few weeks. We weren’t racing again on the Friday so following some Yoga led by our resident Yogi Holly, we headed back to Graces Mums house (Who was very kindly putting us up for the second year), watched the racing on the HWR youtube and caught up on Love Island- if anything was achieved that weekend, getting almost all the boat addicted to Love Island was one. Saturday dawned with a first round race against York City. Knowing it was going to be a test, nerves were high, and showed in the race, we didn’t find our racing speed and were rather frantic for the majority of the race, however kept our noses ahead and won by ½ length. Coming off the water we knew we needed to do better. A long wait followed, trying to desperately hide from the sun, meant we spent a lot of the time at what become referred to as the ‘backside spa’ thanks to an unfortunate typo, painting nails and braiding! Racing Staines for a place in the Semi Final we had a far better race, controlling it from the off, having clear water off the Island, we moved away comfortably to a clear win, and a place in the Semi Final for the 2nd Year running, this time racing TSS. Ice baths (in the Thames) and a few boat adjustments thanks to our adopted Frenchie Francois followed (As well as entertaining the last few people left at the regatta with our enthusiasm towards the National Anthem!). Sunday and Finals day another scorcher of a day. A strong warm up, and a great pre-race speech by our fantastic cox, got us pumped for the challenge ahead. We had a strong start, however TSS had a stronger start, the first crew to be up on us off the start all season, and from there despite our best efforts they moved away from us. A great finish was not enough this time, with the final verdict being ¾ length. Whilst bitterly disappointed we all came off the water knowing that we had come up against a stronger crew. With the majority of this crew returning next season we look forward to another crack at HWR next season, and going one or two steps further. 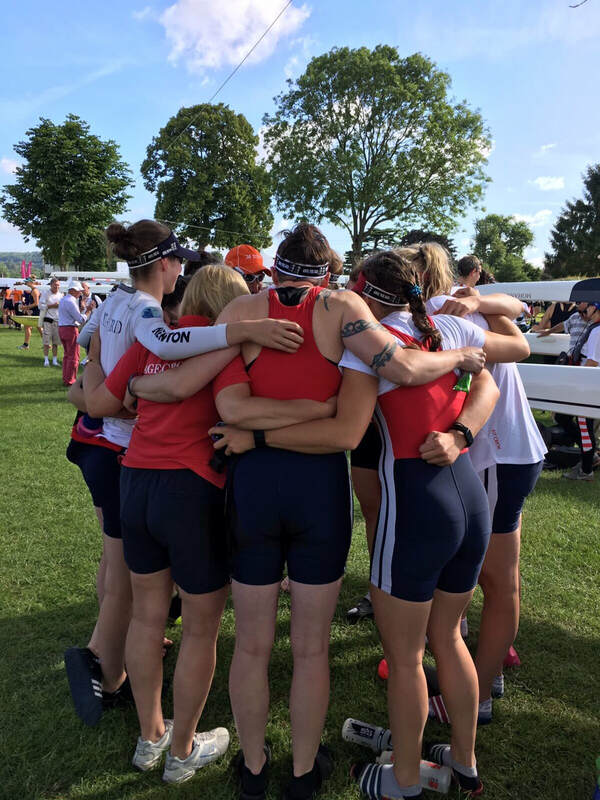 Whilst it wasn’t always the smoothest regatta season for the 8, we found speed when it mattered and had a lot of fun along the way, such memories are what will keep us going through a cold Northern Winter (And Wet) when HWR feels so long away. From a captains point of view, it’s been another amazing year for the squad, lots of wins, a growing squad, some fantastic Novice rowers, a great WEHORR and a successful HWR. Edgars and Dorota have a done a fantastic coaching job, very few clubs racing at this level have a completely volunteer set up, and the results and how we have stepped up as a squad in a very competitive Women’s rowing scene is a credit to their effort and knowledge. We head into next season, via some local regattas knowing we need to step up again, however most of all looking forward to the challenges and fun along the way, it really is a fantastic club to be a part of.If you are moving to Manchester, or the North West for Work or University, or keen to come back to rowing after a break- get in touch. The strongest Women’s Squad in the North, 3 excellent coaches including our Lead Coach Edgars, ex Latvian International, a fleet of Fillipi’s, and a flexible training programme allowing us to train around work, university. We have many members travelling in from Liverpool and Cheshire. We are looking to step on again at WEHORR and HWR as well as racing well locally and at a National level, and enjoying the process along the way.